The operative word here being “consider”, so why don’t we consider two popular forms of furniture that are often misperceived. Furniture is pivotal to every household and it is, therefore, crucial to be cognisant of the varied types of them. Just like how every language has certain confusing words, id est, faux ami, so are there in the realm of furniture, certain types of false friends. Our concern here today is with the difference between an ottoman and a pouf, both of which are oft confused with each other and even more often than that, are termed as synonyms or interchangeable. But, we assure you, all these statements are just fallacies because if analysed correctly, there lies at the base (pun intended, you’ll soon see what we’re talking about), the very differences. Let us first understand what exactly these two products are. What Are These Two Products? Traditionally, an ottoman was considered to have evolved out of a divan and was a type of padded seat that had no head or back. In contemporary times though, the functions of an ottoman have expanded (to an extent). A modern ottoman is a cushioned piece of furniture with a padded or an upholstered seat, used for the purpose of seating, resting your feet or at times, for storing certain things (for instance, shoes). The basic function of an ottoman is thus, seating, resting, storing and at times, to be used as a coffee table. A pouf is similar to a footstool but differs in the sense that unlike the footstool, it is used not for taking one short step to reach the higher cabinets, but for the purpose of serving as a low seat or at times a footrest. Unlike the ottoman, a pouf is smaller than an upholstered chair and is hence, usually smaller in size than an ottoman. 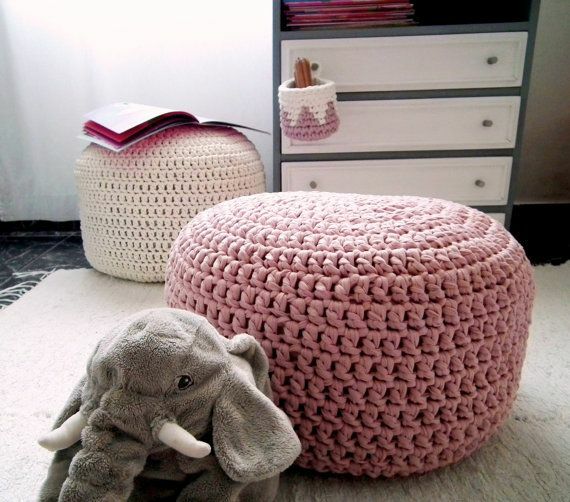 A pouf is also known as a pouffe, which is a nineteenth-century French term for something that is puffed out, which concords to the ideal design of a pouf. Now that we have a basic understanding of an ottoman and a pouf, let us further scrutinise the differences (apart from the ones already listed) that lie between the two. An ottoman and a pouf serve a lot of functions and have slowly gained a reputation for their utility and multiple services. At the base of it, both the pieces of furniture could be used for the purpose of seating and resting your feet on, but they also diverge in their functions. 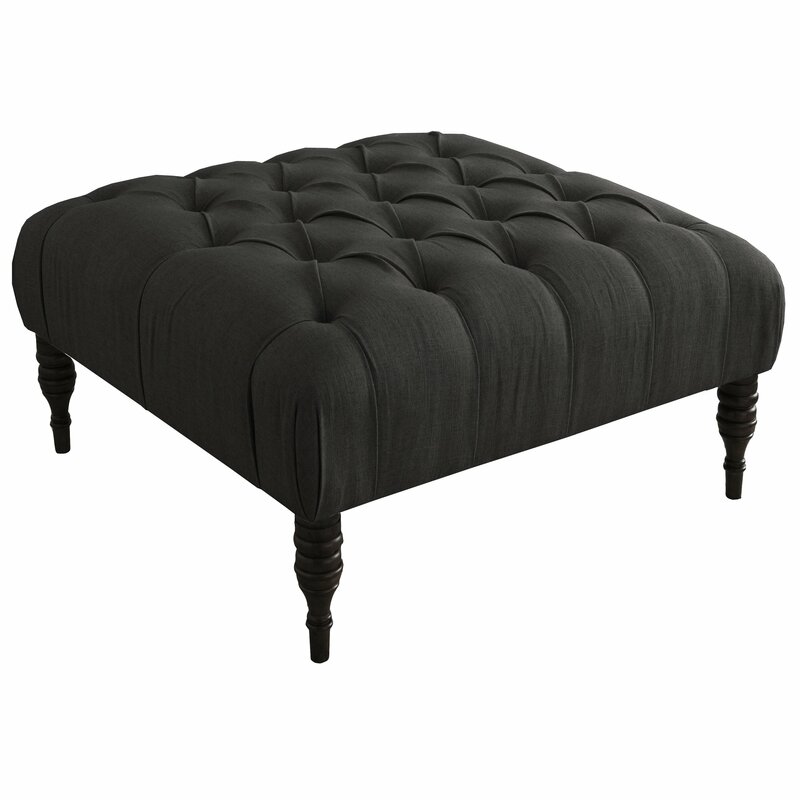 An ottoman is ideally used as a cushioned seat, with sturdy wooden legs for support and keeping your feet on. An ottoman could also be used a coffee table and if a table were to be kept over it, it will even serve the purpose of a small table. Further, an ottoman could be used for storage purposes because ottomans are typically hollow and if crafted accordingly, could even make fancy storage units. Ottomans could be used as an alternative for sofas/couches and are ideally sold as complements to armchairs and gliders, because of their shape and sturdy built. On the other hand, a pouf is normally used as a cushioned seat, seated at a lower height than the others (at times) and could be served along with sofas but not in place of sofas. Poufs can be used as extra seats but are not as ottomans, already a proper means to an end (read seat). 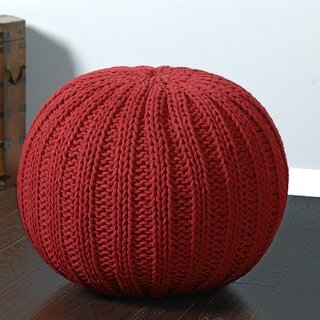 A pouf cannot be used for storage purposes and are just meant for a comfortable way seat to be seated upon. In fact, if a pouf were to have storage space, it will be termed as an ottoman (mutatis mutandis, the size too is altered). Thumb Rule: Ottomans have storage space and could be used in place of sofas; poufs do not have a storage space and cannot be used as an alternative to sofas. Ottomans are akin to seats, while poufs are similar to couches. What Do the Looks Tell You? Now, let’s judge the two pieces of furniture from their exteriors, shall we? The most prominent observation that an individual could make here would be about the design of the two pieces. As is evident from the photograph, an ottoman is a padded seat (we know this has been mentioned ad nauseam now, but it is has to be mentioned time and again, won’t you agree?). Moving on, an ottoman is supported by wooden legs (often done in a fanciful manner), along with a wooden box frame and at times with a back (though that does make it as a somewhat of an anomaly). 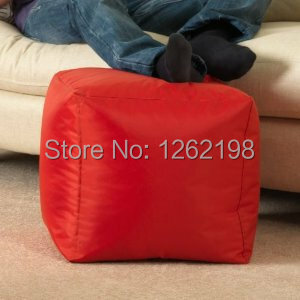 A pouf, on the other hand, is akin to a large cushion and possesses no wooden legs. In fact, if a pouf were to have wooden legs, then it will not be a pouf but a foot stool. A pouf has a soft, cushion-y look going on, whereas the ottoman exudes a more significant conspicuousness. Ideally, an ottoman is much bigger in size than a pouf. A pouf is supposed to be a low seat, or a kind of footrest, and is not expected to be of much height. Pouf is a low seat used for comfort or at times, as a cushion for you to put your knee upon. An ottoman, on the other hand, is an upholstered seat, so not only does it serve more purposes than a pouf, but it is also bigger in size. As stated above, an ottoman serves the function of a seat, a cushion, and at times, a coffee table. Understandably, an ottoman would be expected to be much bigger in size so that a person can easily be seated upon it and not feel any sort of discomfort if seated in a room full of company. Thumb Rule: A pouf is small in size; an ottoman will be much bigger, especially in terms of height. Yes, they are both types of furniture and they both serve similar (yet dissimilar) purposes, but their roles as furniture do differ in the sense of where they are ideally placed in a house. An ottoman is ideally a proper form of furniture, and is generally put inside a living room or a drawing room. An ottoman is considered to be a more prominent piece of furniture because of its elegant design of wooden legs and wooden frame, and since it could also be used in place of a sofa, the ottoman could be placed in a living room for guests to sit upon. An ottoman will not generally easily blend in with the other furniture and has a tendency to stand out, thereby making it a much bigger form of attraction. A pouf is primarily a cushion and used for comfortable seating. It is usually kept in bedrooms or guest rooms to provide comfort, and since its exterior is entirely a form of cushion, a pouf has a tendency to blend in with other furniture, videlicet, a sofa or probably even the wall. 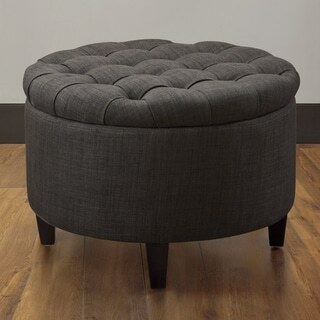 Thumb Rule: An ottoman is supposed to stand out and showcase its features; a pouf is like a complement to other furniture and is used as a subtle form of it. So there you have it, a basic understanding of the differences between an ottoman and a pouf. Fair to say, these two forms of furniture are only remotely similar and there lies between them a great deal of differences.